Welcome to La Brittany. This large 781 sq. 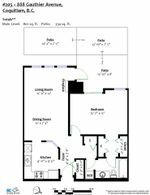 ft. ground level 1-bedroom and 1-bathroom suite features an open floor plan that maximizes daylight and living space. Upgrades include: New gourmet kitchen, stainless steel appliances, full size washer & dryer, paint, crown moldings, laminate floors, blinds and more. Entertain family and friends or just escape fast-paced city life on the private 334 sq. ft. west facing patio (BBQ O.K.) surrounded by a mature garden. Features include: gas fireplace, in-suite laundry, 1 parking stall, 1 locker, alarm system and visitor parking. 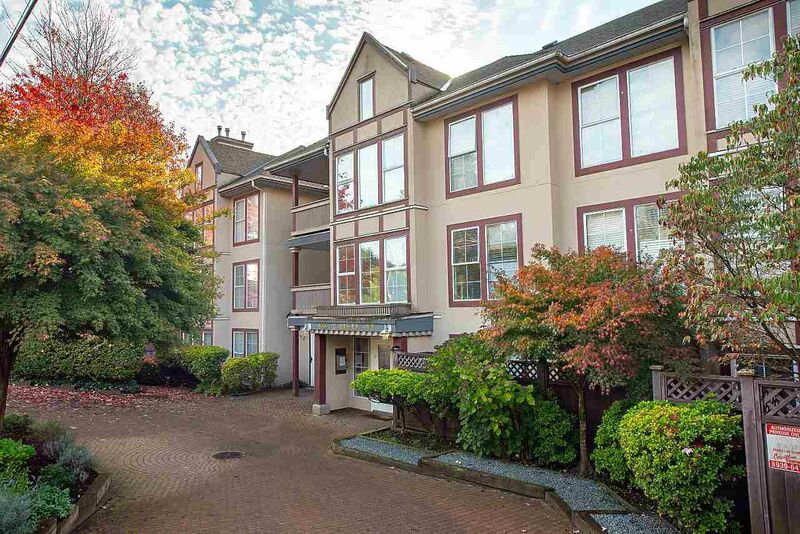 Located close to Skytrain, transit, Highway #1, shopping and the historic Maillardville entertainment district.